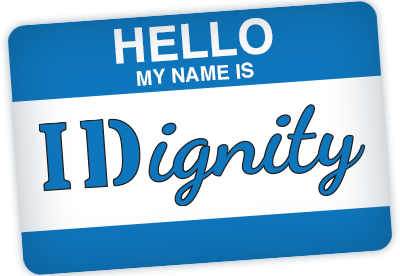 One of the coolest things about the IDignity organization and its affiliates, is that, in spite of the immense amount of data collection and processing that we need to get done in a day, we refuse to simply move people down the line as if it were a conveyer belt. Volunteers are always encouraged to take their time and make a human connection with clients. I’m convinced that that kind of care is the single biggest factor in someone’s ability to improve their own circumstances, and without that kind of love, the value of our best efforts is questionable, to say the least. When meaningful connections are made, all kinds of unforeseen blessings start happening. Ms. Nora is a pleasant older woman with a kind face. She expressed gratitude when she received her ID through us, but as she sat under the food tent, run by Beebs’ Mobile Food pantry, she and Ms. Beebs started talking and somehow the subject came to other needs that Ms. Nora was concerned about in her life. Her concern was profound in its simplicity. She mentioned that, with her advancing age, it had become increasingly difficult to read, and what she really wanted was a large print Bible. When Ms. Beebs mentioned this to me after the event, it was one of those many humbling moments I’ve had in my life, where I’ve realized that I’m a bona fide turkey. As a pastor, I accumulate Bibles like I’m the author, and I tend to take for granted that there are always five or six spilling from every bookshelf. IDignity Seminole – Event Director.